Lady Jane Grey takes the throne of England. Jane was nominal queen of England for just nine days in 1553,as part of an unsuccessful bid to prevent the accession of the Catholic Mary Tudor. Jane was born in the autumn of 1537, the daughter of the Marquess of Dorset. Through her mother, Lady Frances Brandon, she was the great-granddaughter of Henry VII. At around the age of 10, Jane entered the household of Henry VIII’s last queen, Katherine Parr where she was exposed to a strongly Protestant, academic environment. Jane developed into an intelligent and pious woman. In October 1551, her father was created duke of Suffolk and Jane began to appear at court. There, real power lay in the hands of the fiercely Protestant Duke of Northumberland, who acted as regent to the young king, Edward VI. In May 1553, Jane was married to Northumberland’s son, Lord Guildford Dudley. It became clear that Edward was dying, and Northumberland was desperate to prevent the throne passing to Edward’s half-sister and heir, the Catholic Mary Tudor. Northumberland persuaded the king to declare Mary illegitimate, as well as Edward’s other half-sister Elizabeth, and alter the line of succession to pass to Jane. Edward died on 6 July 1553. 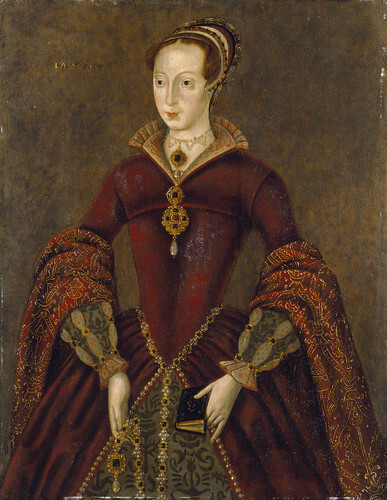 Four days later, Jane was proclaimed queen. However, Mary Tudor had widespread popular support and by mid-July, even Suffolk had abandoned his daughter and was attempting to save himself by proclaiming Mary queen. Northumberland’s supporters melted away and Suffolk easily persuaded his daughter to relinquish the crown. Mary imprisoned Jane, her husband and her father in the Tower of London. While Suffolk was pardoned, Jane and her husband were tried for high treason in November 1553. Jane pleaded guilty and was sentenced to death. The carrying out of the sentence was suspended, but Suffolk’s support for Sir Thomas Wyatt’s rebellion in February 1554 sealed Jane’s fate. On 12 February, she and her husband were beheaded. Her father followed them two days later. "It was by the sober sense of our citizens that we were safely and steadily conducted from monarchy to republicanism, and it is by the same agency alone we can be kept from falling back." This entry was posted in Uncategorized and tagged 10 July, 1553, Lady Jane Grey by admin. Bookmark the permalink.